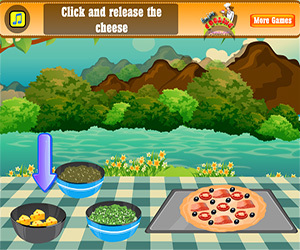 Try this gorgeous pizza game if you want to find how to prepare a fantastic tuna pizza! 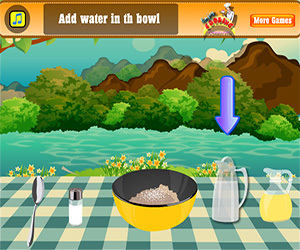 This game will show you how to cook the pizza; take a bowl and add in the first and the most important ingredients: flour and yeast. Then add some salt, water and oil in the bowl. These are the basic ingredients to get the pizza paste. So take the spatula and mix all together! Now keep the paste and use the maker to give it the shape of a pizza. Put the floured paste on the baking tray: add the tuna cubes, the tomato slices and the olives. Then add cheese, basil leaves and some oregano. Your pizza is nearly ready! You have just to cook it in the oven! So switch it on and put the pizza in. Voilà! Your tuna pizza is ready to be cut in slices and to be taste by all your guests! Have fun cooking one of the fisherman's favorite meals! Click on play now and enjoy!